CROTLIEVE SInn Féin Councillor Mick Murphy has welcomed the news that planning permission has been granted for the proposed bridge at Narrow Water Castle. 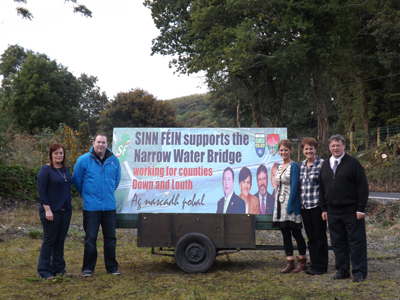 Sinn Féin are delighted at the DOE Minister’s decision to approve the planning permission for the Narrow water Bridge. 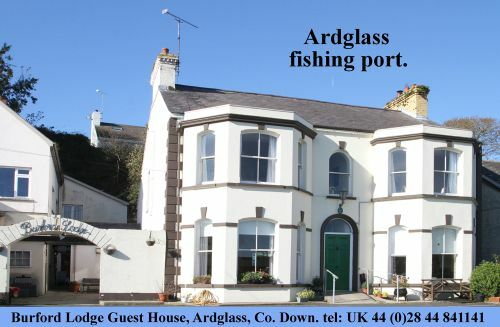 He said: “I am delighted that planning permission has now been granted for the Narrow Water bridge as I have been campaigning for it for many years now. I passionately believe the bridge will bring immense benefits to the local economy, helping to create new jobs and leading to greatly increased numbers of tourists coming to the area. “I have long argued that we should all be working together to promote the unique assets on both sides of the lough, including Carlingford and the Cooley Mountains, the Ring of Gullion, Kilbroney Forest and the Mournes in general, and the bridge will be a huge help in achieving that.